This week is the third and final installment of the dissection of Drs. Rutala and Weber's "Selection of the Ideal Disinfectant". Before I get into the discussion of the last three sections "SAFETY, EASE OF USE and OTHER FACTORS", I hope that we can all agree that disinfection of non-critical environmental surfaces and patient care equipment is key to a successful infection prevention program. From Burnt Bums and Occupational Asthma, to the Necessary Evil of PPE and Unintended Consequences of Improving Infection Prevention, the Talk Clean To Me blog has hit on numerous topics around the health, safety and surface compatibility (or surface safety) of disinfectants. As noted in the article "products should be nontoxic and should not cause harm to users, patients and visitors." To meet this criteria, a facility should chose a product with the lowest toxicity rating, e.g. one that does not require PPE, one that can be used without restriction, one that is not flammable or combustible and one that will not cause temporary or permanent harm to staff. 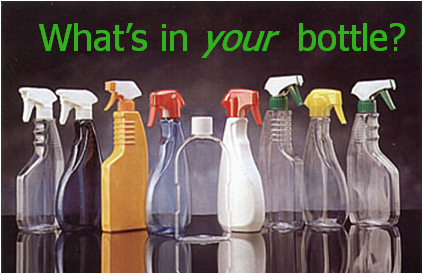 Further, we need to look at disinfectants from their compatibility perspective. By this I do not mean that the product has to have the longest list of approved medical devices, because the truth is, not all medical device manufacturers are willing to invest in the time to validate newer, safer and more effective technologies. Instead look for a product that has been proven to be compatible with a wide range of materials that are commonly used in the manufacturing of medical devices and routinely used for the interior environmental surfaces such as plastics, stainless steel and other materials...like mattress pads. While focusing on what a product kills is great - theoretically speaking the ugly truth is that it does not matter one iota what a product kills if staff cannot tolerate using it and patients complain of the smell. Never underestimate the odor profile of a product, something that smells like roses to one person may smell like pig poop to another! The easier the product is to use, the greater the chance that staff will use it as intended, ensuring compliance is met. Compliance is the key to ensuring a successful environmental hygiene program. For convenience sake as well it is easier to have a product that comes in various formats such as different sized wipes for the task at hand. Of course in the "ease of use" perspective, products that have detergency properties to aid in cleaning and soil removal, are effective in the presence of a soil load, and have an extended shelf life once diluted and can be used with a number of different wipe substrates without interaction (e.g. no quat binding) are also areas to consider. The last area to consider in choosing a disinfectant are some of the value added attributes if you will that may come with the product, such as what training programs the vender will provide. Although these are generally free, one thing for certain is that maintaining training programs is an area that all facilities struggle with. Additionally, do the vendors provide the dilution systems or wall brackets for wipes free of charge and do they provide a maintenance program for the dilution systems once installed? Remember, dilutions systems are like cars and need routine maintenance to ensure they work. I have seen more than one facility attribute an outbreak due to poorly maintained dilution systems. Then there are the questions such as what does the product cost, how many litres or gallons of product or how many wipes need to be used. Those are the easy numbers. As one IP recently told me "cost avoidance is not holding a lot of water" and certainly, determining the "soft" or "indirect" costs such as HAIs avoided or decrease in Occupational Health and Safety claims can be more difficult to prove, but if you can show how much a facility spent year over year on HAIs or Occupational Health and Safety issues..those numbers add up and those numbers are NEVER included in someone's budget! In the end, the truth is that the perfect disinfectant does not exist. However, by following the straight forward recommendations of Drs. Rutala and Weber and looking at the selection of a disinfectant from a holistic approach - finding the balance between efficacy and safety, you can be sure that you can find disinfectants in the market that can suit the needs of your facility and provide the level of kill you need from a daily infection prevention perspective while meeting the health and safety needs and concerns of staff to ensure they will use the product as you had intended, which will have a very real and directional impact on your HAI rates. Will you take the Infection Prevention Challenge? IIPW - A time to celebrate and educate!